Hello everyone! Happy Freebie Friday, where you get educational resources as freebies. Today’s freebie comes from Fish Lake and it’s a powerpoint and pdf on multiplying fractions. Previously we shared a video on adding and multiplying fractions as a Freebie Friday. This powerpoint and pdf is related to that video. 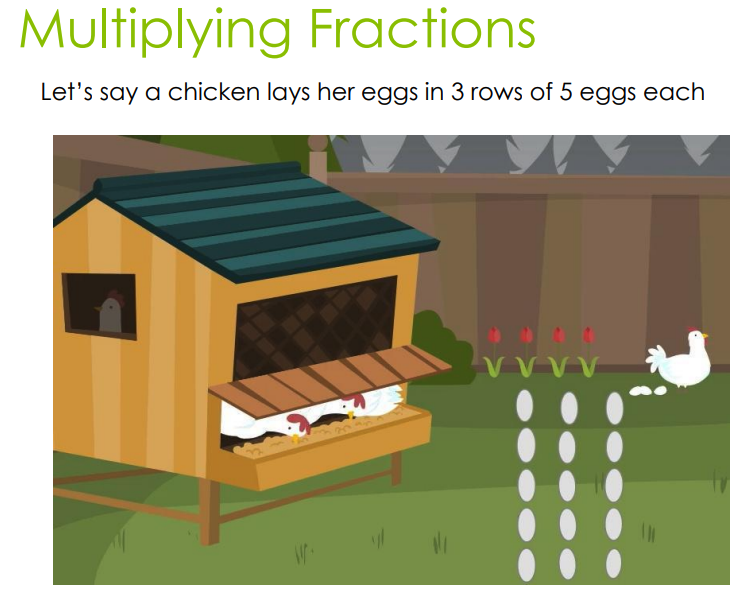 This freebie explains fractions, denominators and how to multiply fractions with like denominators using chicken eggs as an example. View and download the powerpoint and pdf below. You can find teacher resources, like the one above, on our Fish Lake Teacher Resources page. We have teacher resources for all of our games. It’s important to provide resources such as vetted links, clip art, charts, videos and more in order to supplement the content taught in our games even when the game isn’t being played. Feel free to use these teacher resources in the classroom, at home, educational blog or any other educational need. So head over to our newly improved Teacher Resources page and check out what we have to offer. As always, make sure to come back next week for another Freebie Friday! Now if you like that freebie, then check out the entire game. Buy Fish Lake today!